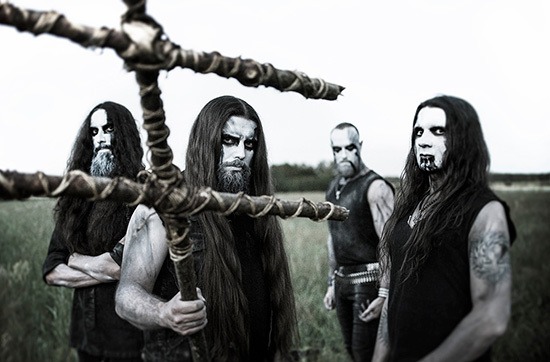 Death/Black Metallers HATE from Poland sign to Metal Blade Records! In 2018, we find HATE as ever, advancing. In preparation for what might be their most fruitful endeavor so far, to collaborate with the home of American Metal, Metal Blade Records. “‘You are judged by the company you keep’ the saying goes, and if that is true, then we shall be judged extremely favourably. We are very proud to announce our signing to Metal Blade Records, a label that is as synonymous with Metal as the invention of the distortion pedal. This signing could not have come at a better timing, as it coincides with an opening of a new chapter in the band’s history. Beginning with the release of 2017′s ‘Tremendum’, Hate has been on a journey towards new, even darker horizons, and we’re confident that this step will help us in reaching these goals. Our first collaboration is already well underway and plans have already been laid down to enter the studio in December of this year, with a tentative release date for mid-2019. Come, bear witness and join us on this journey“, comments the band’s frontman ATF Sinner.